Fantasy Roleplaying Game – Sword, plough or wand? 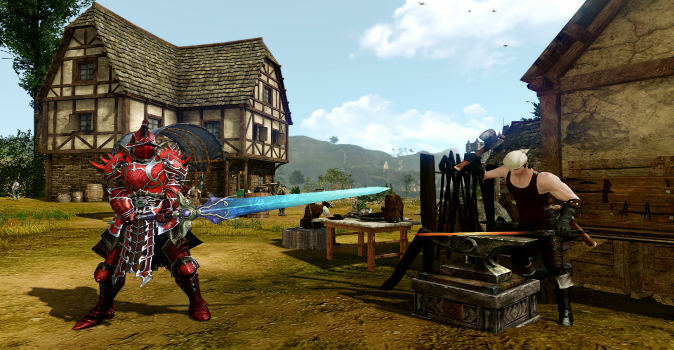 The free-to-play MMORPG hit Arche Age lets you decide how you play the game. If you’re a fan of giant worlds and free decision making all wrapped up in a MMORPG, then you should definitely read our full report below! Before you start your adventure in the world of Arche Age, you’ll need to register and download the game client free of charge. Once you’ve done this, you’ll be sent directly to the character creation screen. The characters are all lovingly designed, so much so in fact that our collective mouths dropped open at first sight! You have to choose between four races separated into two factions and design your character how you want to. Afterwards you’ll then need to choose between six ‘skill sets’ which can be compared to traditional classes. A short introduction guides you through how to move your character and in no time at all, you’ll be sent on your first quests! These quests act as a kind of tutorial and will quickly make you feel comfortable with the controls and game features. Beginners to the genre will be particularly grateful of how supportive the tutorial is and are in no danger of feeling overwhelmed by the complexity of the game. Veterans also shouldn’t worry as there’s plenty of new material for you to discover. Arche Age allows you to erect your own farms and houses! What’s great about this feature is that these settlements aren’t isolated to your own instance, and can be seen by other players. That means that farms are open targets for thieves and pillagers alike, all vying for the best plots of land. Then you’ll need to decide which seeds you want to sow and how rich your soil is. As you progress, you’ll also be able to transport your crops. It’s also pretty sensible to build your farm as close to the water as possible and you’re even able to build a so-called ‘Aqua Farm,’ which means you have the chance to harvest resources like corals and muscles. Don’t forget to also think about building houses, as these can be used to store everything your farm produces, as well as your treasures – a particularly valuable feature for all those players looking to settle down. Of course it isn’t as easy as just harvesting your resources by clicking a button. Each resource will need to be handled and dealt with correctly. This is where Arche Arge’s craft system comes into play! The game offers you the chance to learn 20 different jobs, ranging from the traditional professions like mining and tailoring, to special occupations like composing music or rearing animals. You can try out as many jobs as you like but you’ll only be able to choose certain specialisations, so think carefully what you want your character to be able to do well. Arche Age really manages to combine a great craft system with a huge number of resources. You’ll definitely have a lot of fun once you start getting a feel for the countless craft recipes and what kind of things the game allows you to magic up! 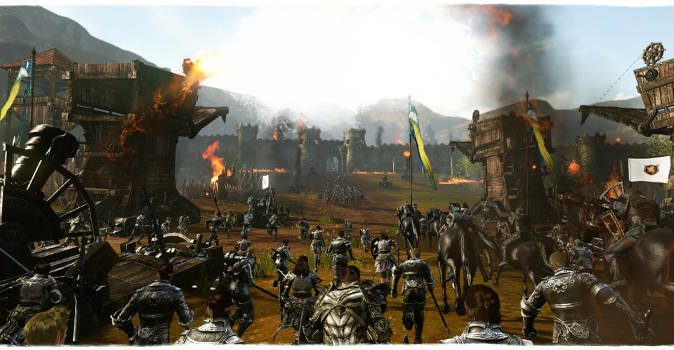 Arche Age also manages to successfully combine faction PvP with the core game concept. As players and guilds get their strength from production (or theft) of wares, it’s a good idea to protect these from other players! Collected resources are combined to form packages and need to then be brought to varying continents in order to get the most profit possible. The further you go, the higher the profit! But you’ll also have to take the dangers of travelling into consideration! Whether you’re transporting your wares by water or caravan, dangers lurk around every corner! For your own safety we recommend you find friends or a guild to help protect you on particularly dangerous trade routes! Of course you can turn the tables on your opponents and gather your resources the illegal way! This concept of having to choose between honourable trading and deceitful theft was something we’d never experienced before and we really enjoyed the variety. It’s always great when games manage to tie individual features together into a well-rounded package. The world of Arche Age is giant and it’ll take time before you can discover everything the game has to offer. 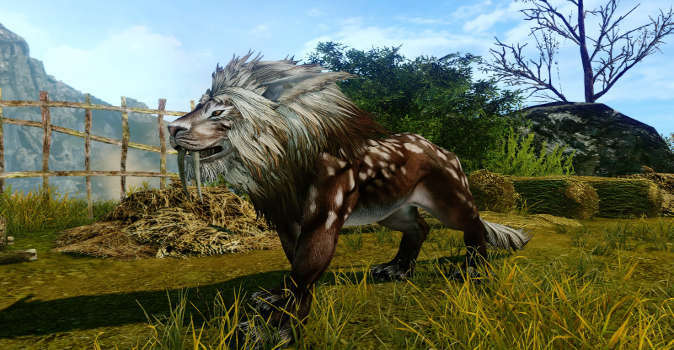 At the beginning you’ll have access to mounts such as deer, horses or snow lions. These are a great start and beats travelling on foot. As you progress through the game you’ll be able to start building cars to race around the continents! You’ll even be able to build machines for your farm. Farm vehicles enable you to water plants on mass rather than watering one at a time. But that’s not everything! There are even a diverse range of ships and aircraft on offer! Arche Age isn’t just limited to continents, but also sets the action on water and in the air! Completely Free-to-Play: After a really uncomplicated registration process, simply download the game client and get stuck into the action! 20 Different Professions: Compose songs, craft armour or specialise in rearing animals. There’s a lot of options to choose from! PvP Action: Transport your valuable wears around the whole world and protect your trade! Or fight back and pillage the wares of other players! Mounts: From snow lions to sport cars, small boats to powerful battle ships. There’s so much fun to discover! Arche Age has managed to convince us on all fronts! It’s not every day that such a complex free-to-play fantasy roleplaying game appears on the market! 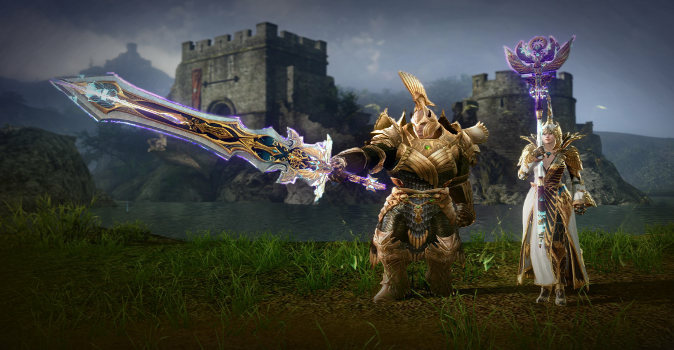 Players can expect to experience the highs and lows of trade and farming. 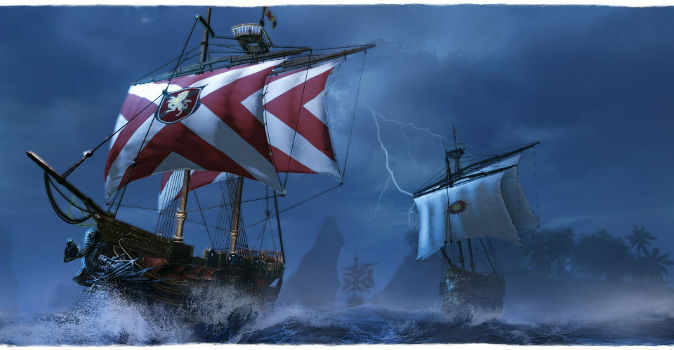 You’ll need to secure your trade routes or you’ll be a prime target for robbers on land and sea, while whole guilds can act as either your support or your enemy. On top of all this, there are the great graphics that really grab hold of you and won’t let go. There are a huge range of items and wares available to manufacture, which can be used to furnish your houses or arm your character in battle. 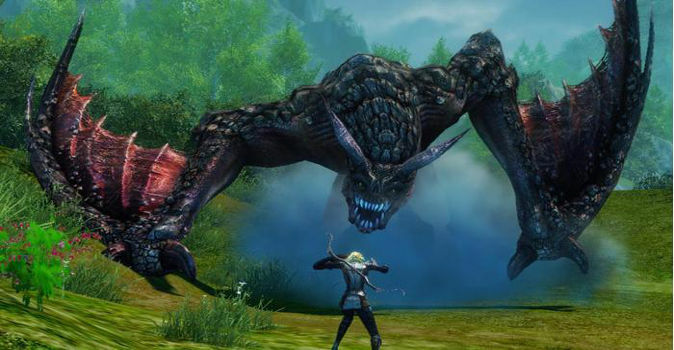 Of course there are also instances and the like, but the strengths of Arche Age lie in the exciting battles between players across the open world. This game truly bowled us over, as well as a couple of trade convoys that got in our way!